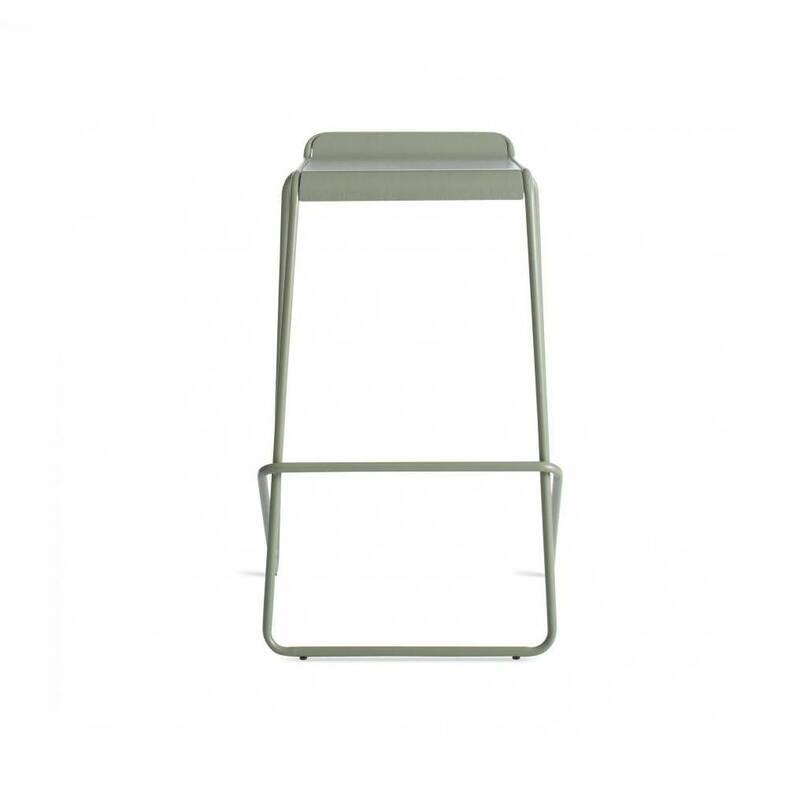 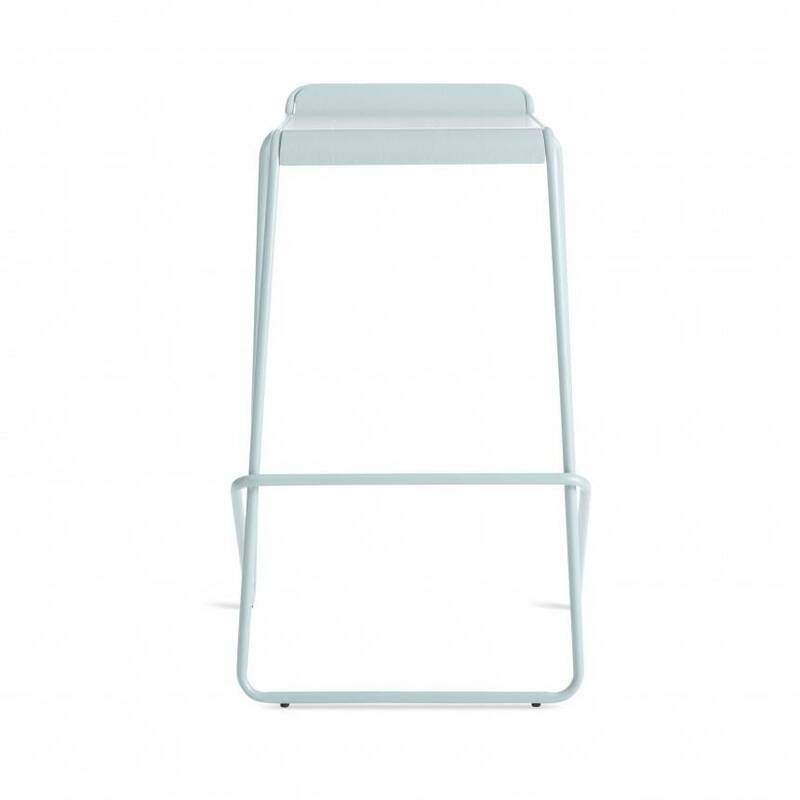 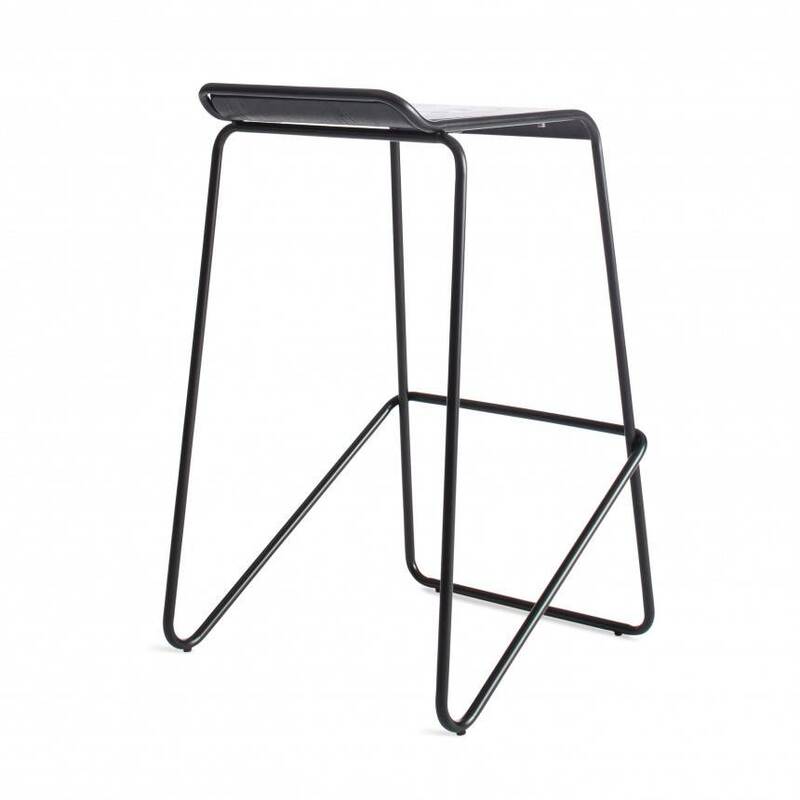 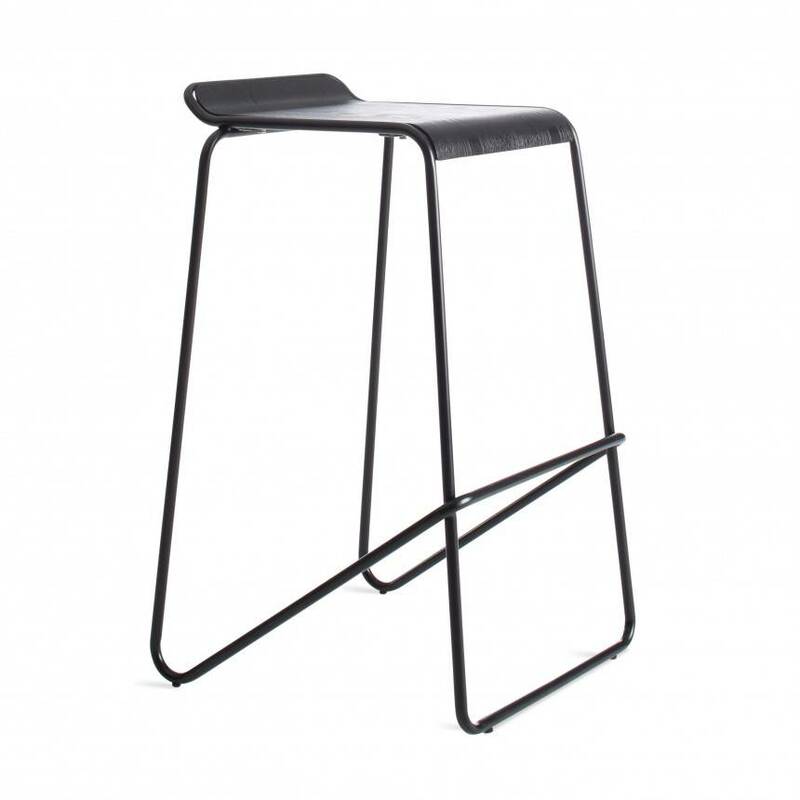 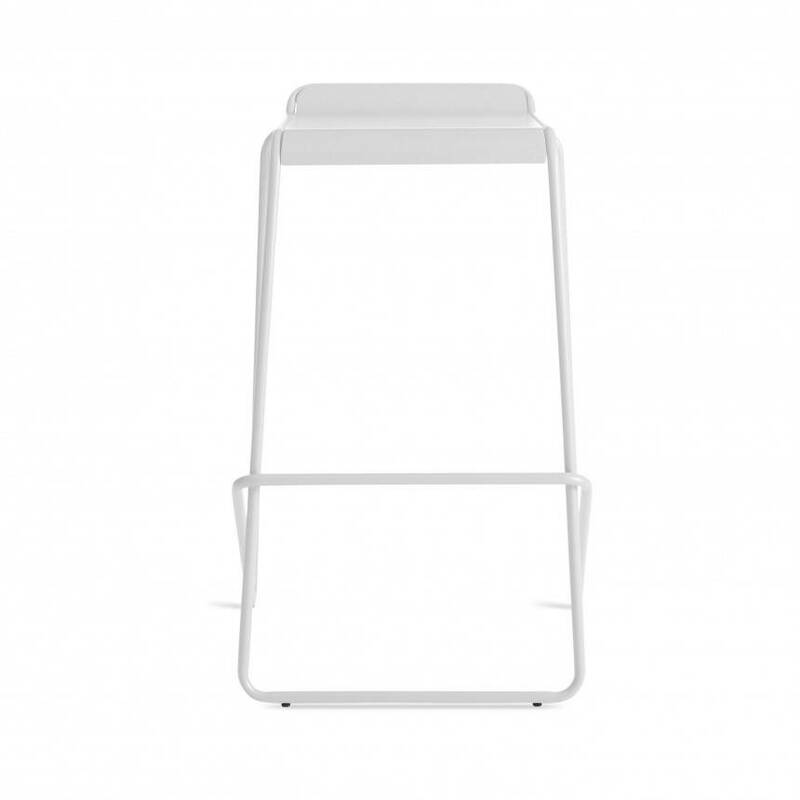 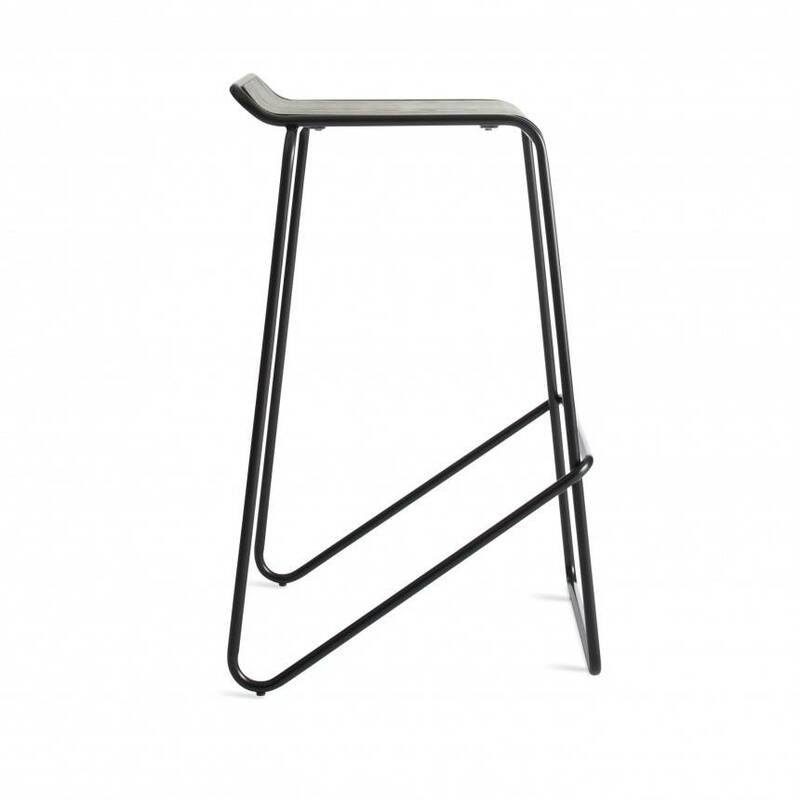 A stackable stool with powder-coated steel sled legs and a molded plywood seat makes for a friendly contract solution or a perfect everyday perch. 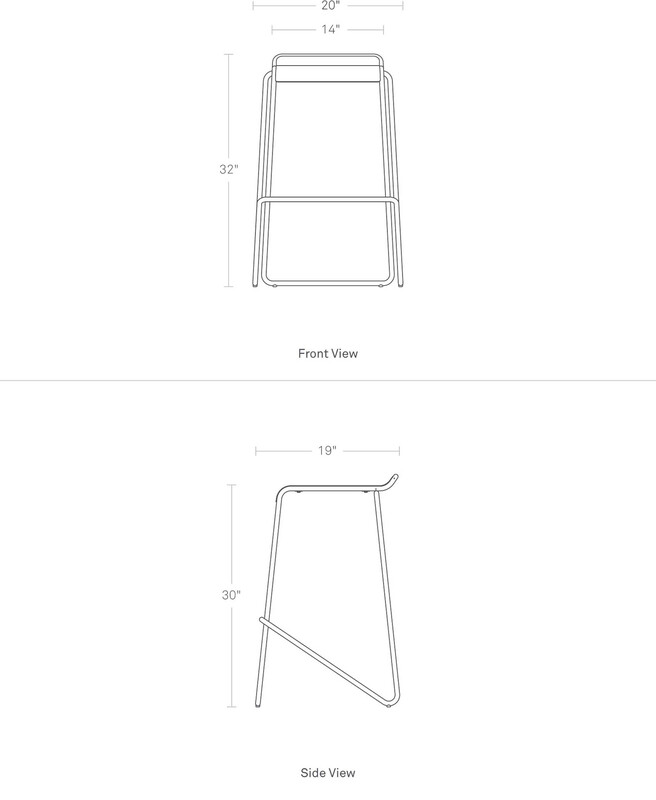 Click here for bar height dimensions. 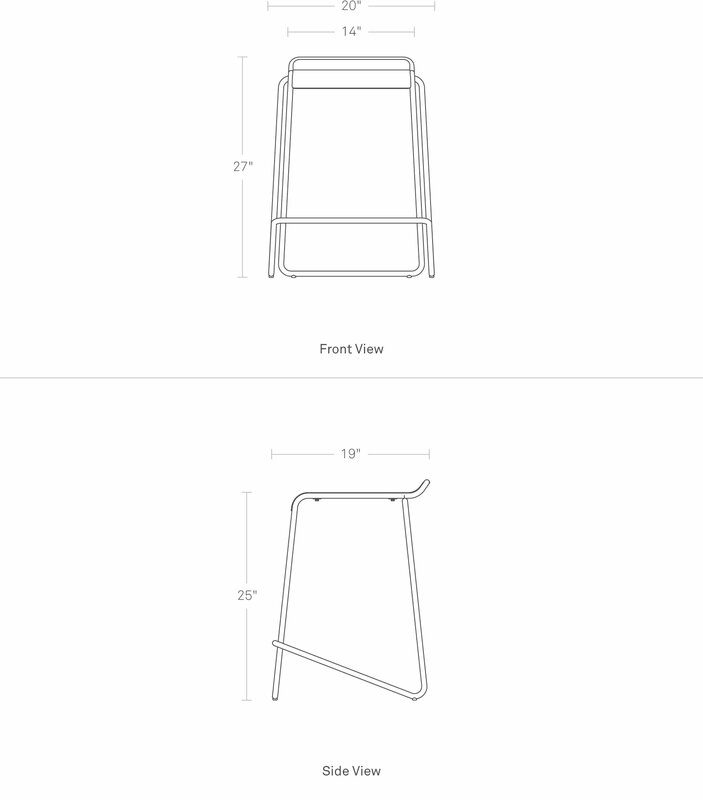 Click here for counter height dimensions.